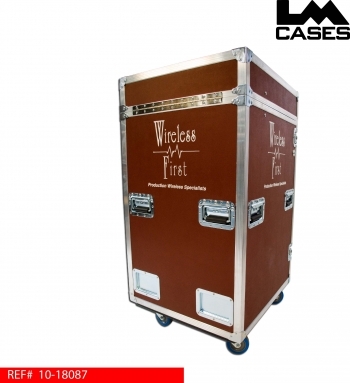 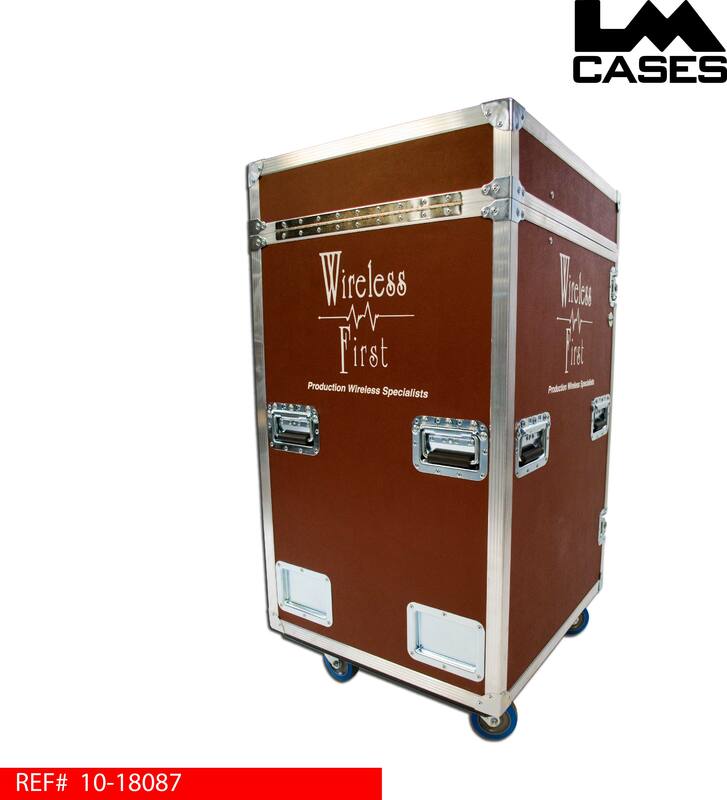 This case was designed by Wireless First to be a mobile production workstation. 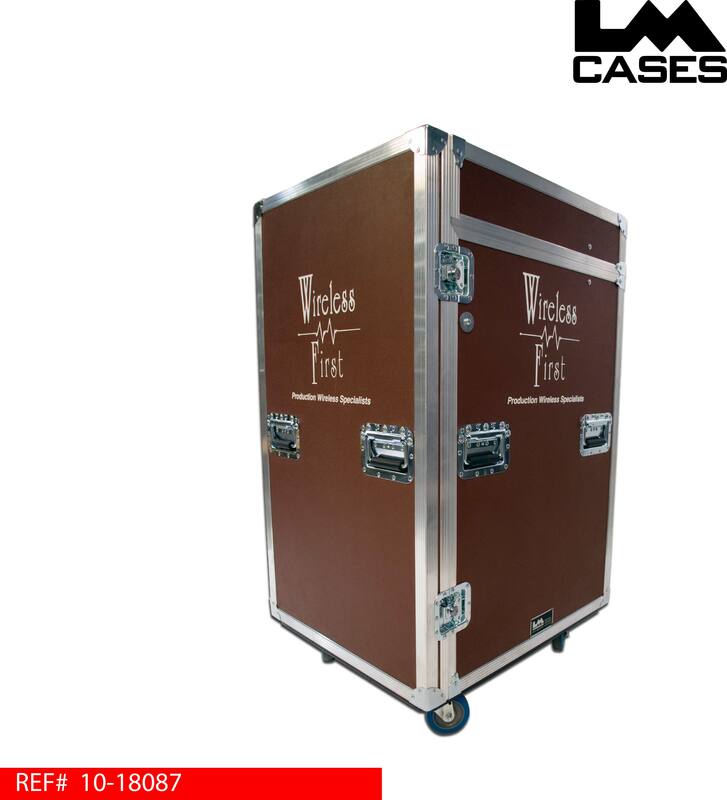 The case is built out of 1/2" plywood, and features dual lids; the top lid is hinged and the front lid is removable. 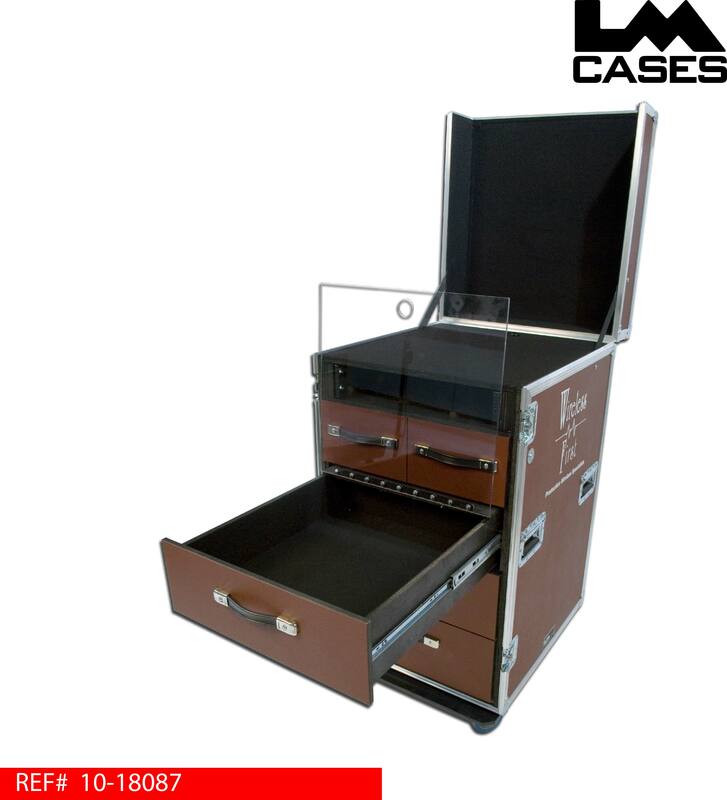 The case features 5 drawers outfitted with strap handles per the customers request. 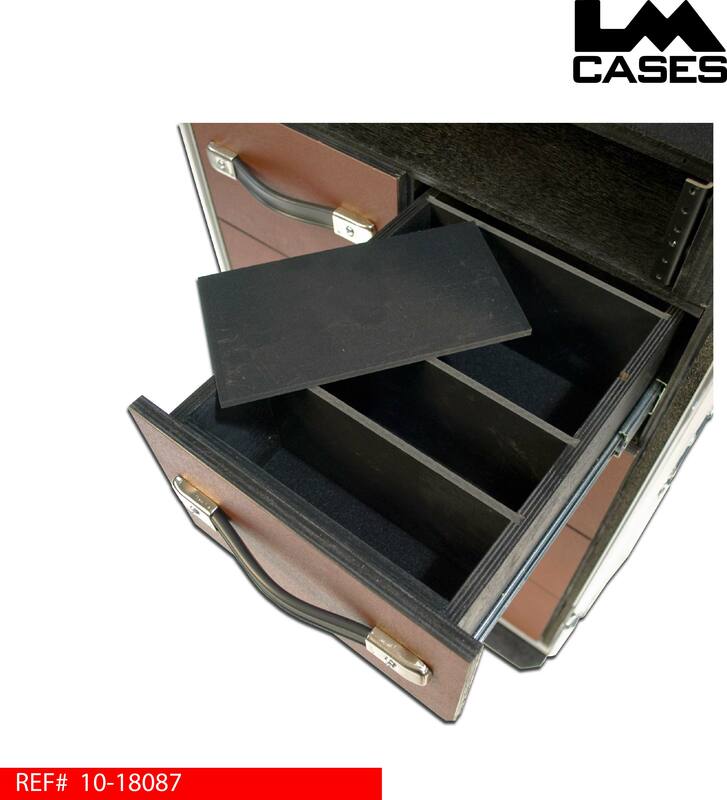 The top two drawers feature removable dividers (see photo below) allowing the user to create custom compartments as needed. The larger drawers are lined with black ozite, the top drawer features a clear Lexan lid to help keep small parts contained during rough travel. All of the drawers are built out of 1/2" Baltic Birch plywood and are mounted in a inner shock mounted shell. 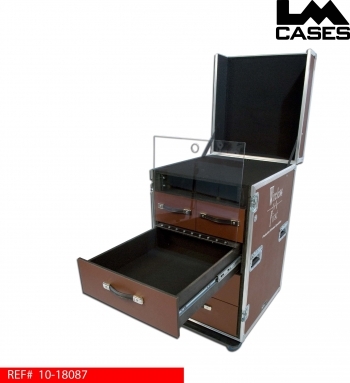 This case also features a 2 space rack section. 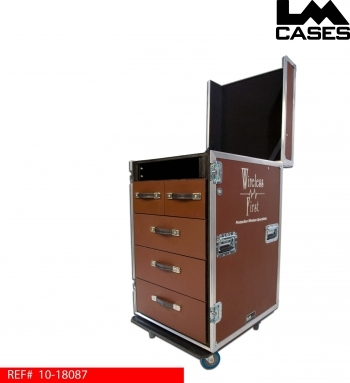 There is space behind the rack section that goes behind the drawers and terminates at two blank plates allowing the customer to integrate their own connectors.